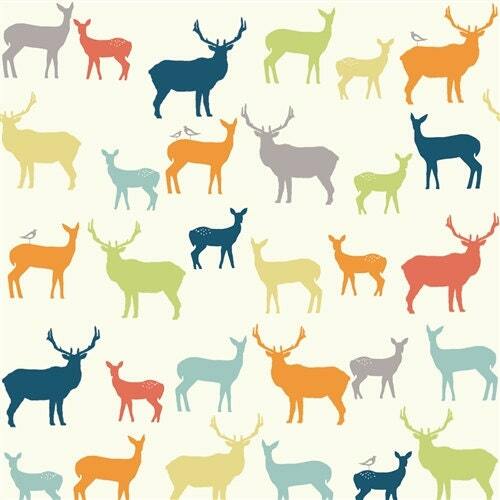 Birch Double Gauze in the Elk Family Multi print. 100% certified organic cotton double gauze. Two layers of ultra soft gauze make this cloth perfect for garment sewing and baby items. This fabric is even more beautiful in person. I am so in love with it and can't wait to custom make my son a blanket for when he arrives. The seller was also super helpful when I had questions about sewing with this material for the first time. I will definately be back to buy more from this shop. Perfect condition and perfect transaction.